Drive, Instinct and More! Learn What Dogs Naturally Offer and How They Learn. Drive and Instinct: Harness the benefits for training your dog and you! Learn how to benefit from your dog’s drives and instincts, for success in training and building your relationship together! A dog’s drive and urge for a pack structured life, is one of the primary aspects that connects us with them. When we talk about dog obedience training or other types of dog training there are roughly four major groups of learning skills that our dogs can offer us. and something that (in our human terms) we can equate to, frustration. These are the four elements that our dog offers us and based on these groups, we need to build the entire concept of our relationship and of dog training. The level of your dog’s socialization, etc. You can find out more about these factors in the dog breeds and dog behavior pages, as well as the socializing your dog part of the website. On this page we will discuss the 4 groups of learning tools mentioned in the beginning. We can start with a dog’s instincts and drives. There are general and individual types of dog instincts and drives. In the general group we have instincts that are inherited to all dogs, the pack way of life, pack structure basics, certain behavioral patterns that come directly from their instincts, etc. On the other hand we have the individual instincts; they are more related to the dog breeds themselves. It is no secret that some dog breeds are “made” for dog obedience training or other dog training types, while on the other hand there are breeds that are barely able to pass basic dog training, and are often labelled as disobedient in certain situations. Although many books are written on this and other subjects of “dog intelligence”, many of the authors missed one simple fact, there were dogs that were bred to work exclusively with humans and there are dogs that were bred to work independently without many influences from humans. This is nothing to do with a dog’s level of “intelligence”. Because of these misinterpretations we have lists today of so called “intelligent dogs”, this is absurd and incorrect. There are no “more or less” intelligent dogs out there; there are only dogs that are driven by different instincts, some that were bred to work with humans, and some that were bred to work independently. Many people mistakenly think of the latter as “stubborn” dogs, when in reality, they are simply performing as they were originally bred to do. For more about this subject and for a description of the different types of dogs and dog groups you can visit the Dog breeds part of the website. 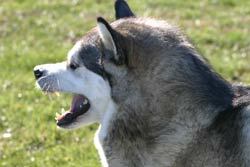 Prey-drive is common for most dogs; it is useful in many dog trainings as dog trainers use it to create a highly motivating reward for the dog. This drive is an example of how we can use the dog’s natural abilities to our advantage in order to keep our dog motivated to perform certain tasks, quickly and precisely. It is useful, for example, when you are playing retrieve with your dog, and overall it is a great tool to build motivation in your dog. There are so many aspects in a dog’s life that are in some way related to their prey-drive. However, there is also the other side of the coin as well. High prey-drive in everyday life may drive you crazy, and may jeopardize your dog’s security and safety. If your dog likes to chase cars, bicycles or other animals, then you are dealing with a dog with high prey-drive, and this could lead to serious problems. For these cases you can check out the section about behavior modification in order to help you deal with this issue. Although this drive has often been related to certain dog breeds, in today’s world due to the many attempts to create “new” breeds or “adjust” breeds to fit different needs, we have deviations inside each of them. For example, the German Shepherd was bred (created) to carry genes with this drive; but by selective breeding we now have German Shepherds without any presence of this drive, and others with the drive, but they are the same breed by name. The use of this drive is more for guardian dogs, police/military service, personal protection, or dog sports like Schutzhund, IPO, KNPV and many different ring-sports (French ring, Belgium ring, Mondioring etc.). Since there is not much use for this drive for most companion/pet dog owners, and because many people believe that this drive is the main reason for dog territorial behaviors, dog guarding behaviors, and other “problem” behaviors, there are many dog breeders now, that just like in the example above, are purposely creating dogs without this drive through selective breeding. TIP: Defence-drive is not present in a dog immediately at birth. It develops later on in life. Some dogs may show signs of this drive when they are a few months old, however, their defence-drive will not be fully developed until the dog is 16-18 months old or even older (sometimes over two or two and half years old). Even then, many dogs don’t show the presence of this drive unless it is brought out by specific training or a series of repetitive events that will trigger the drive. Fight-drive naturally occurs in some breeds, and in some of breeds it is more expressive, like for example guardian dogs, especially sheep or livestock guardian dogs where prey-drive, defence-drive and fight-drive are the main foundations for their entire behavior. On the other hand, in some breeds this drive is in a more or less passive state and it has to be “awaken”. Fight-drive is the product of the prey-drive and defence-drive, through the two drives a dog builds enough power and momentum to actually engage in the stressful situation of an actual fight and attack. This drive helps a dog to achieve the highest levels of dog training protection work, including any police/military or personal protection work. Even if the dog has extremely high drives and shows an extremely high fight-drive, that dog needs to go through training in order to avoid problems that can occur naturally like with the Avoidance-drive, described below. There are a couple of opinions about this dog “behavior”. Some dog trainers consider this to be a separate drive just like prey-drive or defence-drive, others think of it as a normal part of the defence-drive. Avoidance occurs when a dog reaches a certain level of stress and their natural reaction is to run away from it or to avoid it. 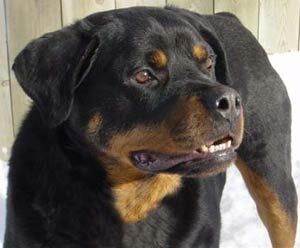 Again, there are dog breeds purposely created to have a higher level of tolerance in stressful situations or when facing potential dangers, like live stock guardian dogs or some types of hunting dogs, but like all dogs, even dogs from these breeds need to go through some type of training in order to overcome what is part of the natural reaction to stress. 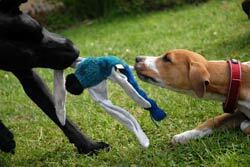 In dog obedience training or dog training in general, motivation is the most important factor. If there wasn’t any motivation, we wouldn’t achieve any goals with our dogs and we would primarily rely on the use of aversive dog training techniques and force in order to reach certain levels of dog training. Luckily, nature is working for us, well at least in some ways. There are roughly two basic types of “motivation” in a dog’s life. - Inherited Motivation: Dogs are pack animals therefore they are naturally motivated to cooperate. 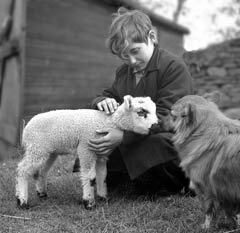 There was also a huge factor involved in the process of domestication where (especially in the beginning) the animals that were selected were mostly those that showed tolerance toward humans and were cooperative. Meaning that humans were able to use them for the purposes they needed them for. Everyday simple trainings such as reward-based training, etc. If you complete just these ones you are building a relationship with your dog and teaching him that interacting/working with you is a fun and motivating process. The higher the level of motivation is for your dog, the higher the results in your dog training or your everyday life, will be. Life would be beautiful without frustration, however it is a normal part of it and we need to learn how to deal with the frustration in our dogs. Just like motivation, frustration comes in two types, an inherited one and a learned one. It is completely opposite from motivation (which may require time to build), because frustration acts fast and can lead to disaster. But, there is a twist when we are dealing with frustration that allows us to benefit from it, and I will explain this later on. First, let’s address the natural frustration. One of the biggest sources of frustration is mating season. It comes twice per year and affects both females and males. If the mating schedule is skipped, it affects dogs a lot, one of the symptoms of dogs who are overloaded with frustration is obsessive/destructive behaviors (normally towards toys or other items). If a male is exposed to the presence of a female in heat and can’t mate with her, the level of frustration may get so high that it may result in bursts of aggressive behaviors. Normally, this wouldn’t occur in nature; and dogs without human intervention show little affects from frustration as it is relieved throughout their daily activities among other dogs. Problems occur when dogs share their lives with humans. Dogs have zero patience. Patience is something that dogs need to be taught through training. Most people demand patience from their pets without even knowing that they are doing so, and this can become frustrating for both humans and animal alike. Dogs who live with humans as pets often skip the mating season and many dog owners don’t spay/neuter their animals. We often don’t provide enough physical activities for our dogs. As we are different species, we can’t best fulfill their social needs, and in most cases we also don’ fulfill our dogs’ mental stimulation needs. 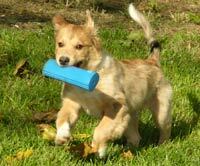 We ask a lot from our dogs in order for them to fit into our environment and fulfill our needs. We tend to train them and approach them in such a way that just keeps building more and more frustration. This list can go on and on...frustration is a big issue, bigger than more dog owners are willing to admit. Since there are no natural ways for them to relieve their frustration, dogs simply keep on piling it up, and try to get rid of it in ways that we (humans) don’t like. There is a whole pallet of potentially dangerous, obsessive/destructive, or aggressive behaviors that dogs act out in order to relieve themselves from their built up frustration. Or if the source of the frustration is the dog’s owner (through over-training or boring routines, etc), the dog may simply start avoiding being with his owner, in an attempt to avoid frustration which is an unpleasant experience in most cases. The way to deal with this is through daily routines, exercise, dog training, mental stimulations, and basically through an overall, healthy relationship, where there is a balance and both our own needs and our dog’s needs are able to be fulfilled. When and where we can use a dog’s frustration in our favor. Most dog trainers know the secret of “capping”. This is a normal procedure where you tease or play with your dog during a high drive/motivation state with a wanted object. For example: if you have your dog really crazy for a ball. You can present a ball to your dog, throw it a few times, and then when he is highly motivated tease him a few times in front of his nose, but don’t throw it, you will see your dog getting hectic (or freezing waiting to “explode” and release energy). The reason is because now you are applying frustration on top of the motivation...like oil on a fire. 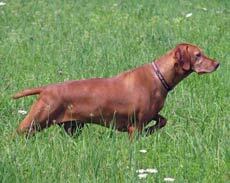 This principle is used, for example in dog races. If you observe a dog race, dogs are in their cages and ready, and are already trained to get into a high drive. Then they are presented with a lure that starts dragging right in front of them while they are still locked in and can’t yet chase it. This builds frustration so at the moment the gates are opened, the dogs simply “explode” their energy into running. What many top dog trainers do is that they will build this motivation/frustration state and then re-direct it into a wanted behavior, for example the sit or down position. Performance then looks fast and energetic. Or you can also use it, for example, in agility before you send your dog through the obstacles. It may sound cruel, loading up your dog with frustration, to help fuel his motivation, but it actually isn’t, if done properly. Dogs actually enjoy this as they know that at the end they will get their reward, it also feels good for them to learn how to release the pent-up frustration this way, as certain levels of frustration are something that cannot be avoided. And it teaches them how to control their frustration and “cap it”, which is useful for them in other situations that can otherwise be overwhelming for them. The important key here is not to overdo it. 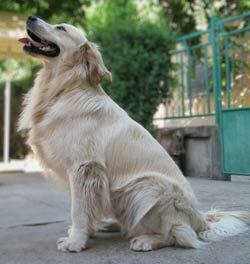 If you tease your dog too much before releasing him, he will start barking, whimpering, spinning, jumping, etc. we call this “leaking”. The level of energy has reached the limit and the dog is unable to hold it therefore it has to leak somewhere. If you keep on teasing, the level of frustration will overpower and eliminate the motivation and your dog will simply learn to avoid this “game” in the future as it will be too frustrating for him.